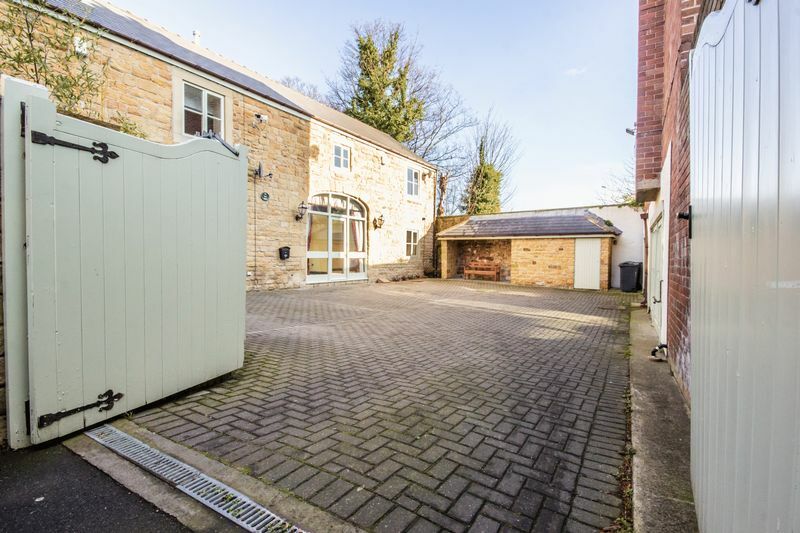 We are very pleased to present to the market this exciting opportunity to purchase a stunning 3 BEDROOM CHARACTER BARN CONVERSION. 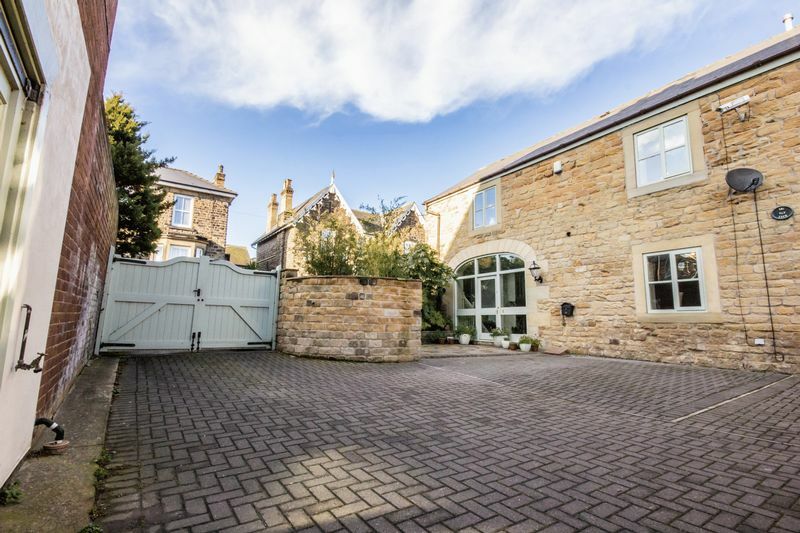 This character stone built property presents an abundance of period features whilst still offering modern fixtures and fittings throughout to create the perfect blend of old and new. 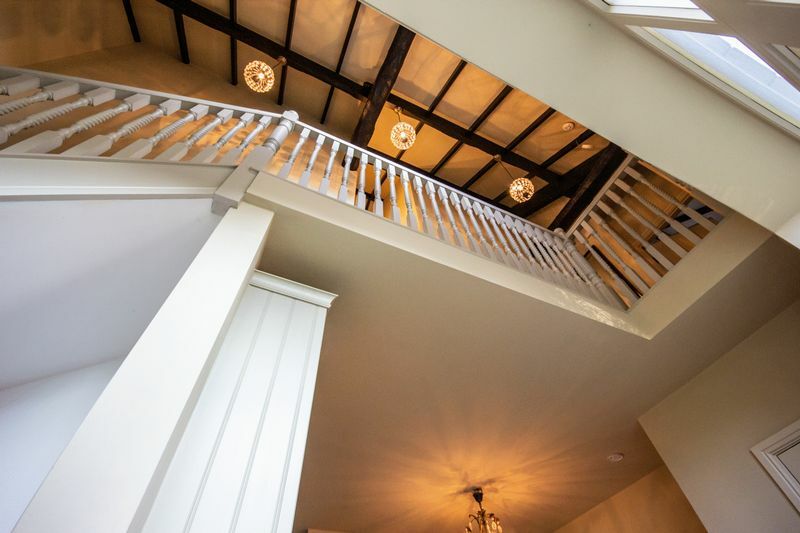 Featuring wooden beams, high ceilings and gated access. 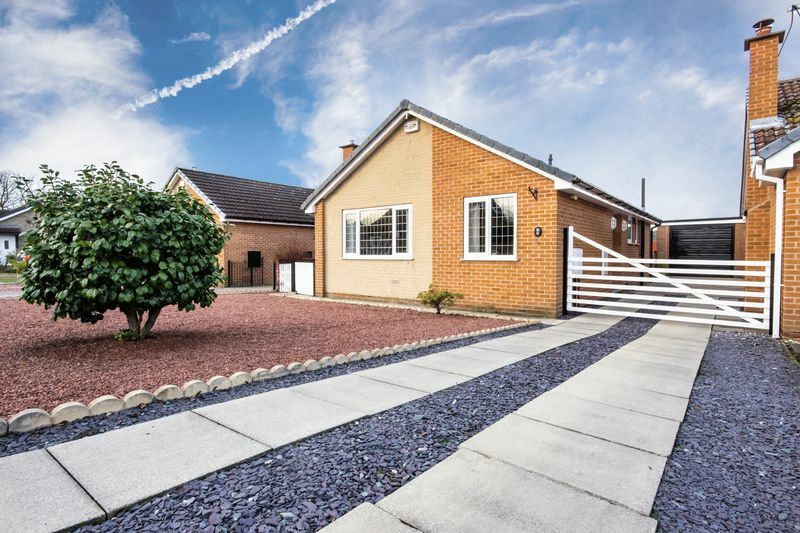 The property is situated in the small town of Wath-Upon-Dearne, within easy walking distance to the town centre, local pubs/restaurants and schools. 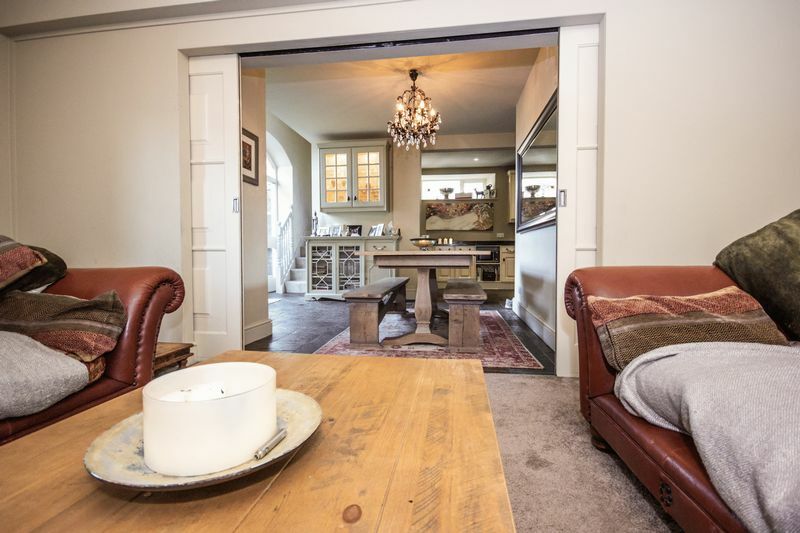 The ground floor offers a spacious entrance hallway with natural light flooding through the large arched doorway leading to an open plan dining room flowing through to the kitchen with utility area and a generously sized lounge. 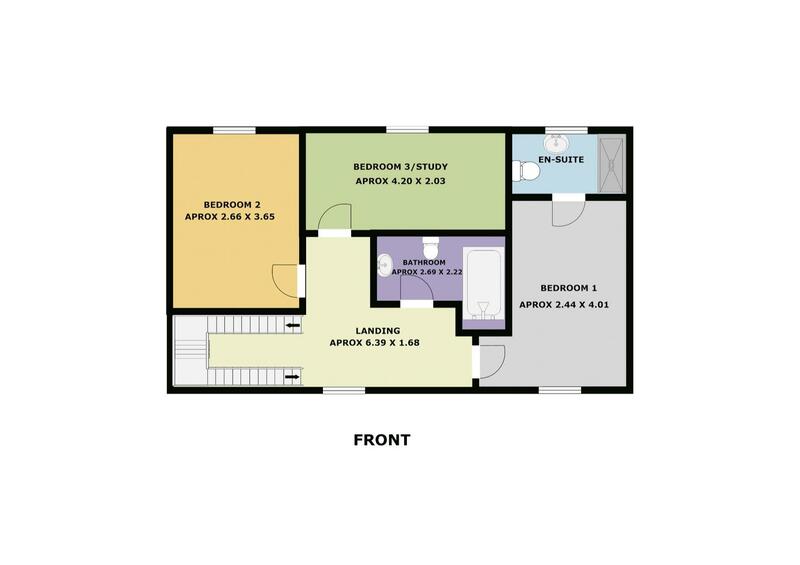 To the first floor are 3 bedrooms with ensuite to the master bedroom and a family bathroom. 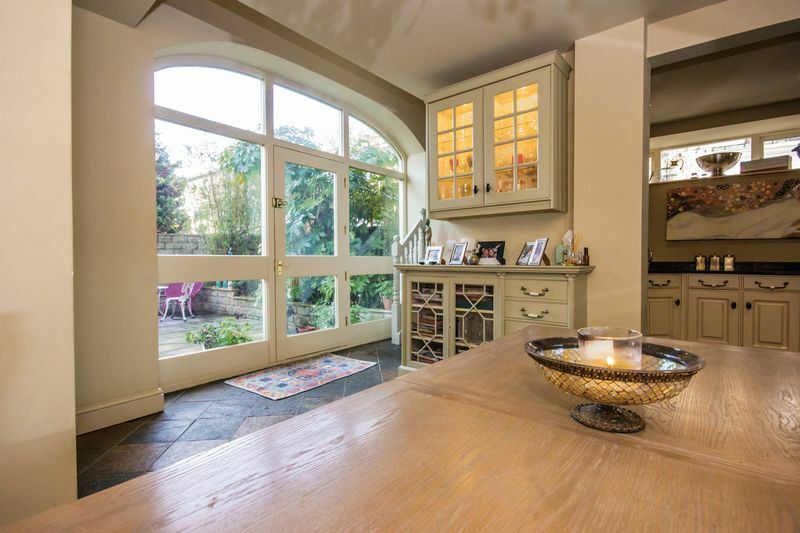 A bright entrance open to the dining area with tiled flooring. 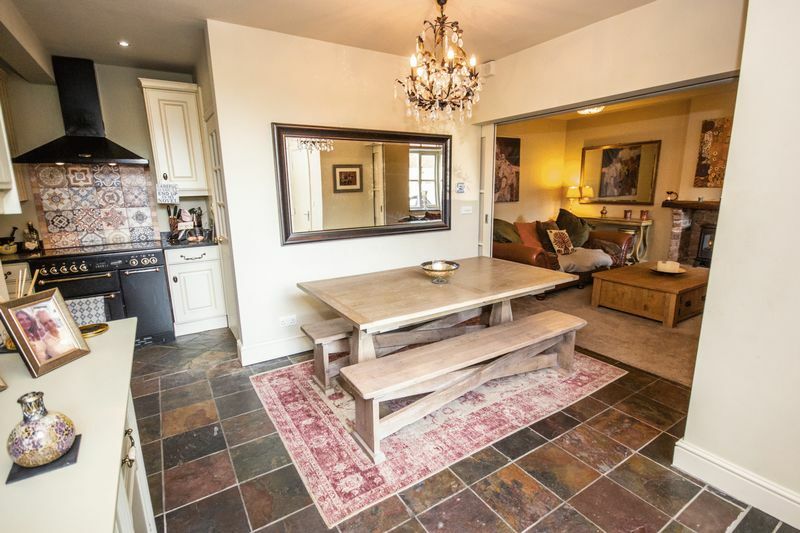 Featuring a gallery landing with light flooding through from the entrance hallway this spacious dining area offers a great entertaining space centrally placed between the kitchen and lounge. 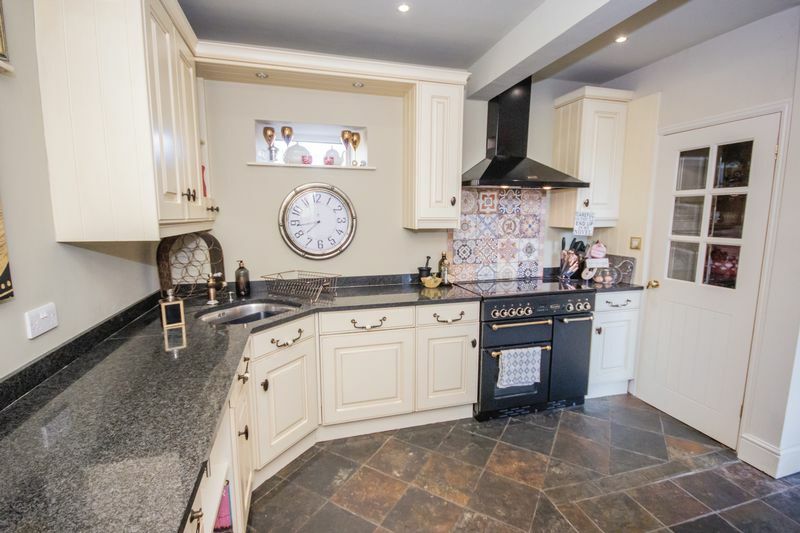 Beautifully decorated with a tiled floor throughout. 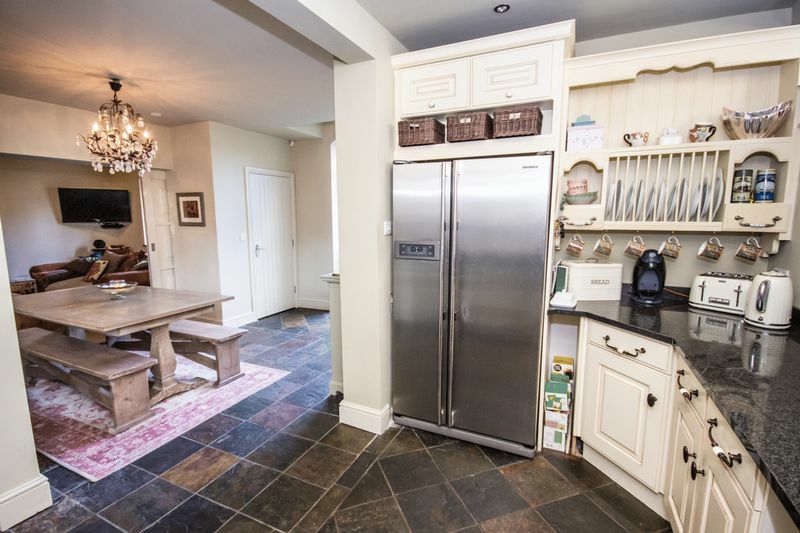 A modern country style kitchen open to the dining area. 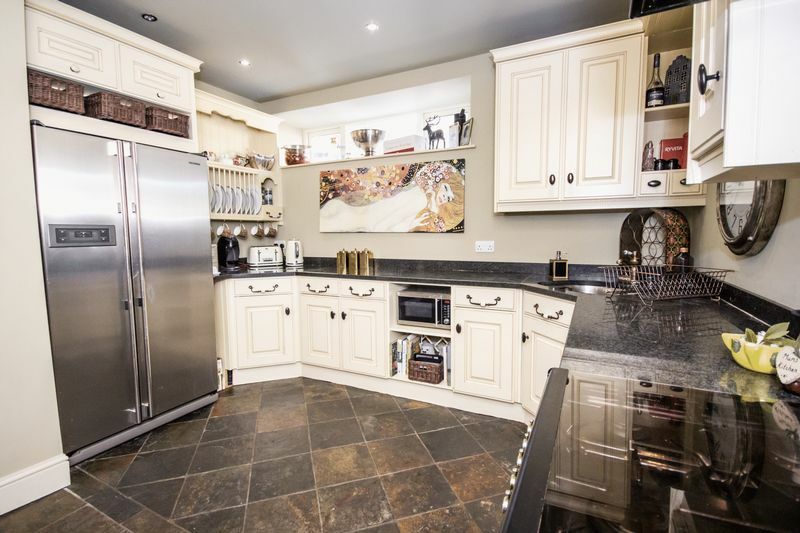 Fitted with a range of cream wall and base units with black granite worktops and up-stands, a stainless steel sink, range style cooker and extractor hood. 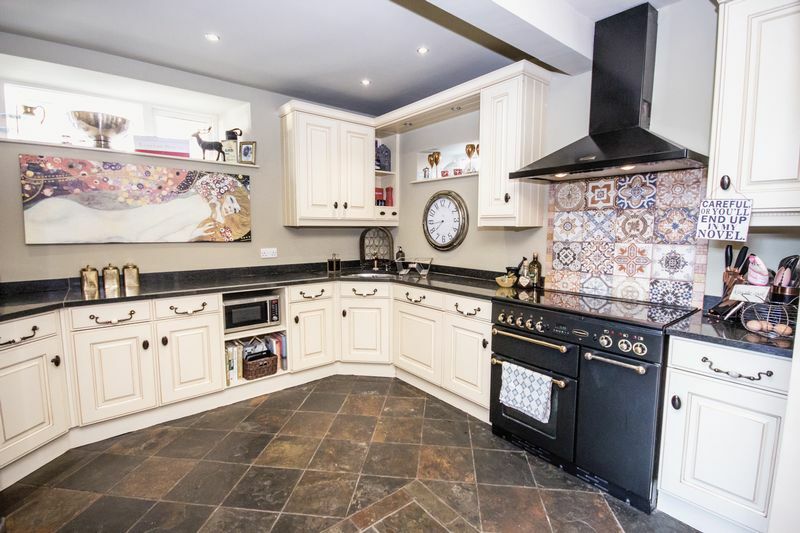 Beautifully decorated with a tile splash back around the cooker and a tiled floor throughout. 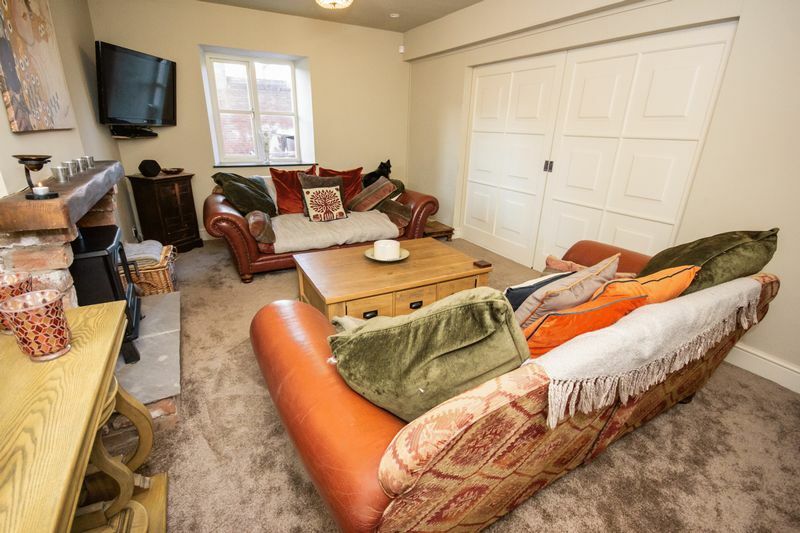 Located just off the kitchen with electrics and plumbing for white goods. 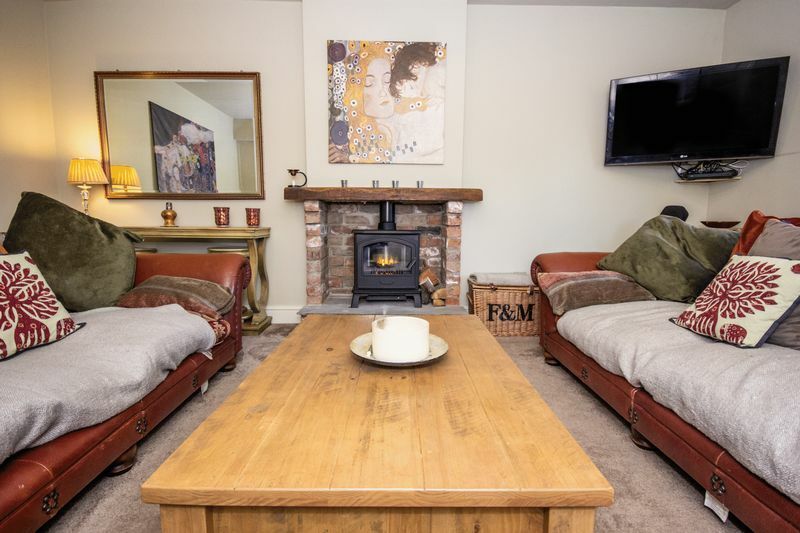 A full length living room featuring a wood burning stove with wooden fire lintel and brick surround. 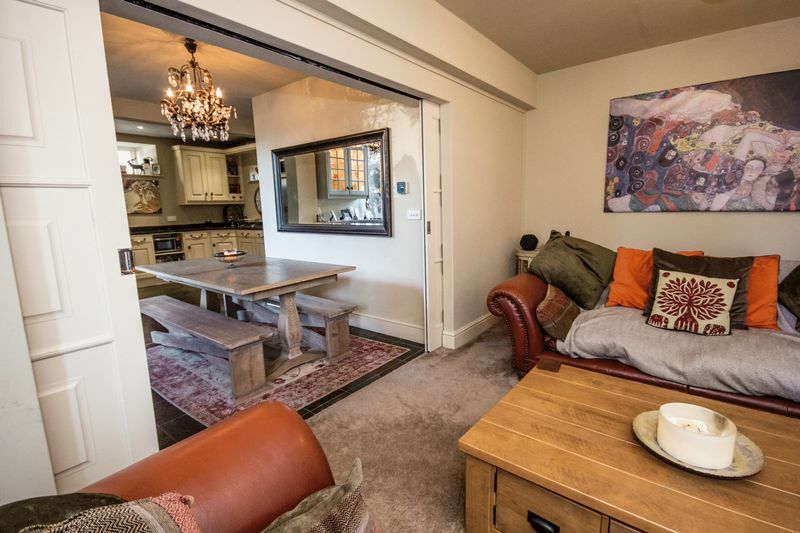 Neutrally decorated with cream fitted carpet and double doors through to the dining area. 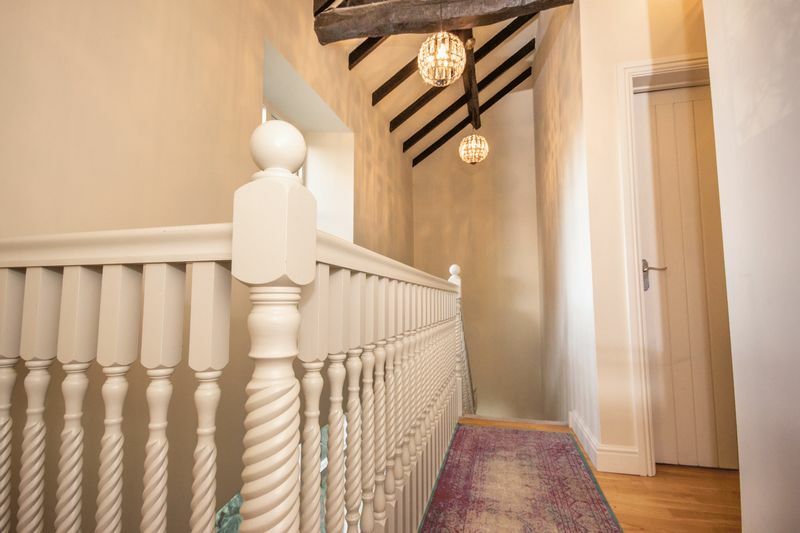 Gallery landing with wooden beams providing access to the 3 bedrooms and family bathroom. 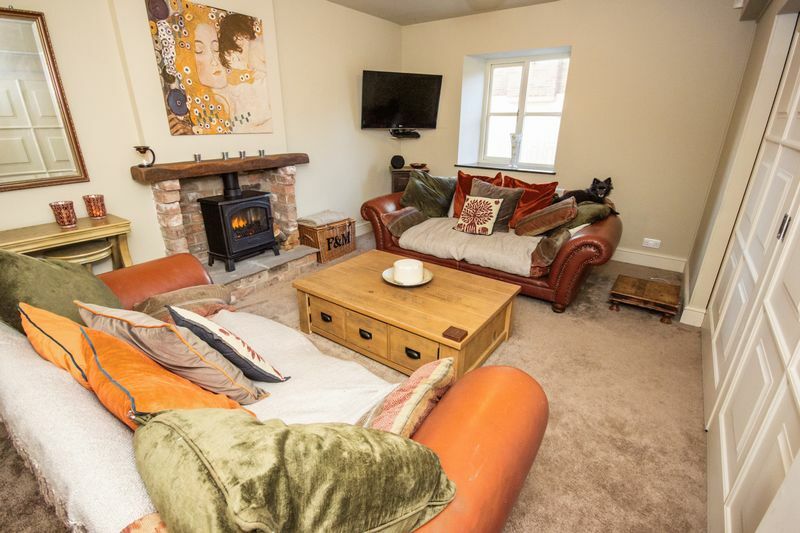 Stylish and modern whilst emphasising the character of the property. 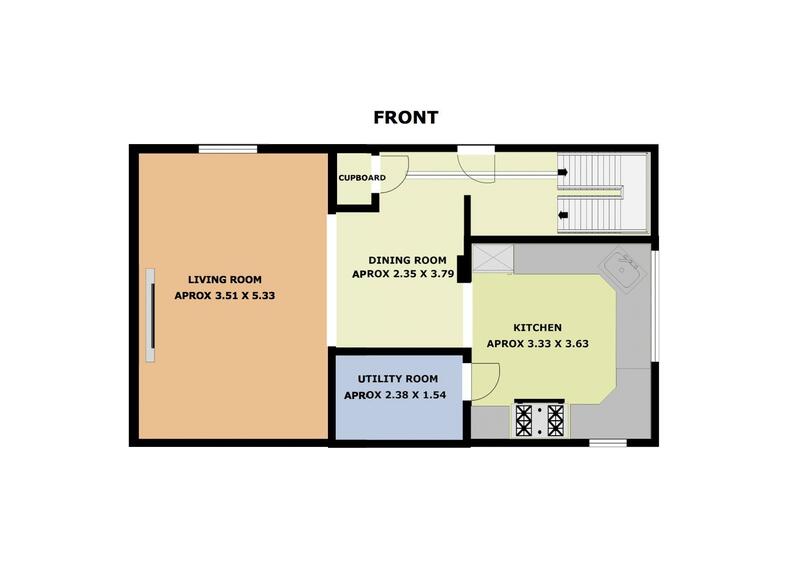 Consisting of a white suite including a bowl wash basin with vanity unit, low flush WC and bath with overhead shower. 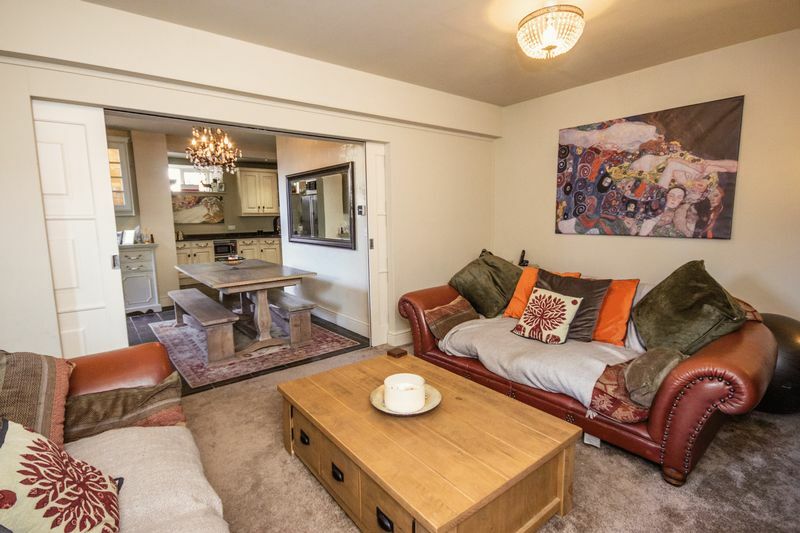 Master double bedroom neutrally decorated with wooden floor and featuring ensuite facilities. A contemporary stylish ensuite with a low flush WC, bowl style wash basin on a vanity unit and separate shower cubicle. 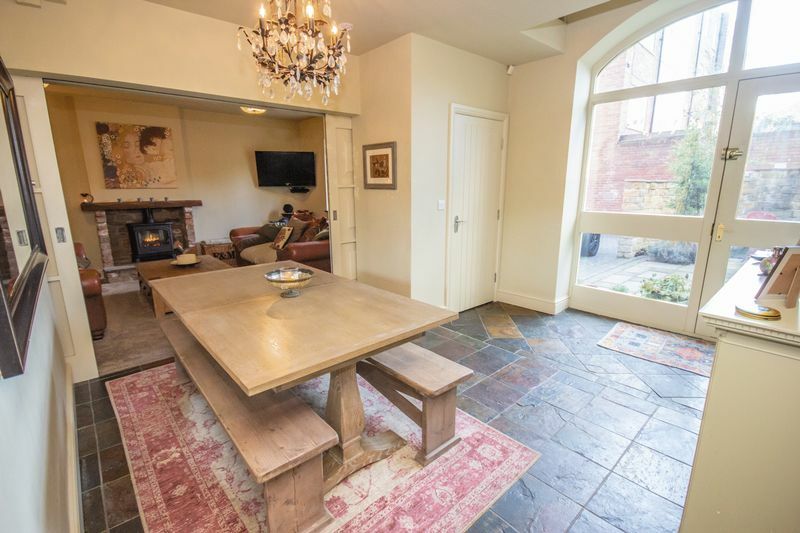 Designed beautifully with the period of the property in mind. 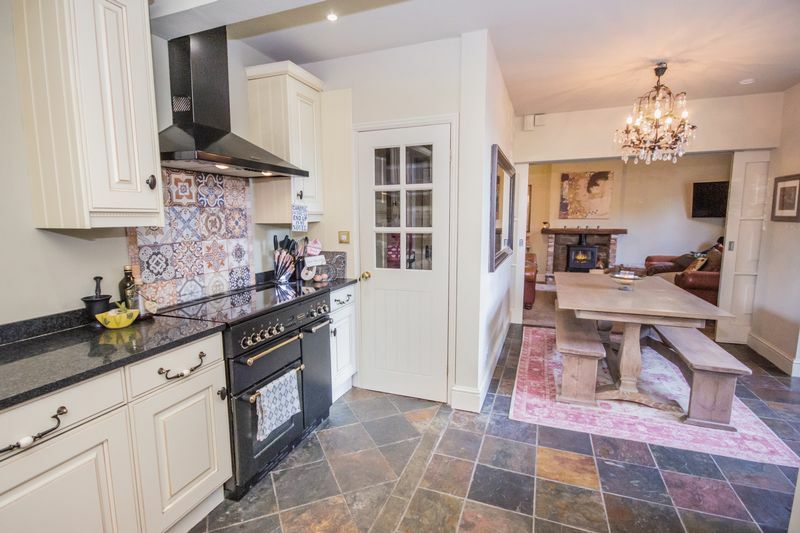 Fully tiled with a wooden floor. 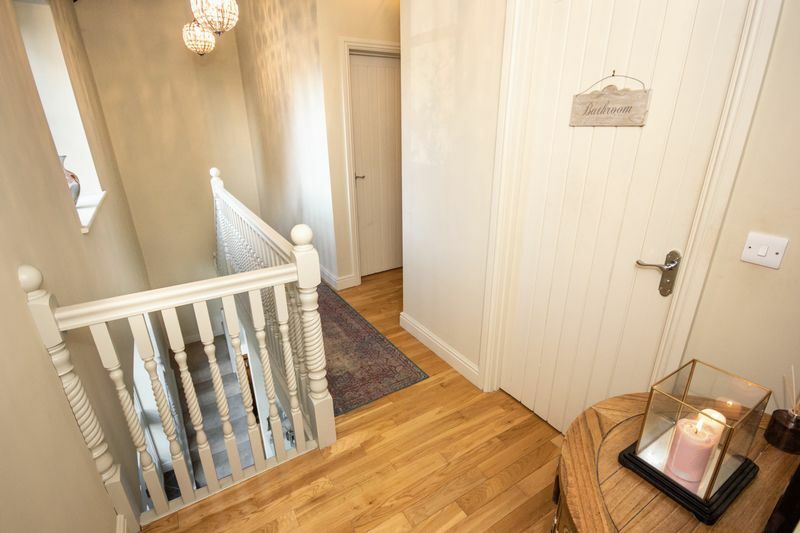 Double bedroom neutrally decorated with wooden floor. Single bedroom neutrally decorated with wooden floor. 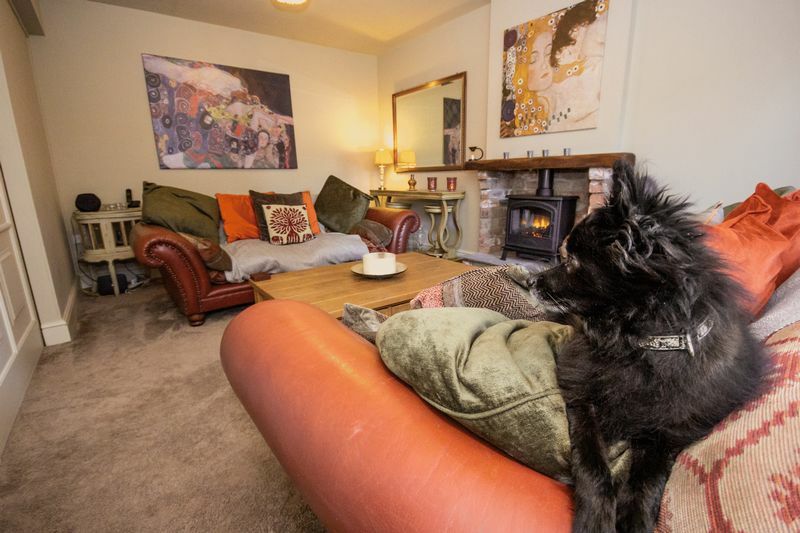 With Double glazing and heating radiators present in each room. With gates leading to a shared driveway with off road parking and a well maintained patio area. There is also potential to purchase a garage by separate negotiations.